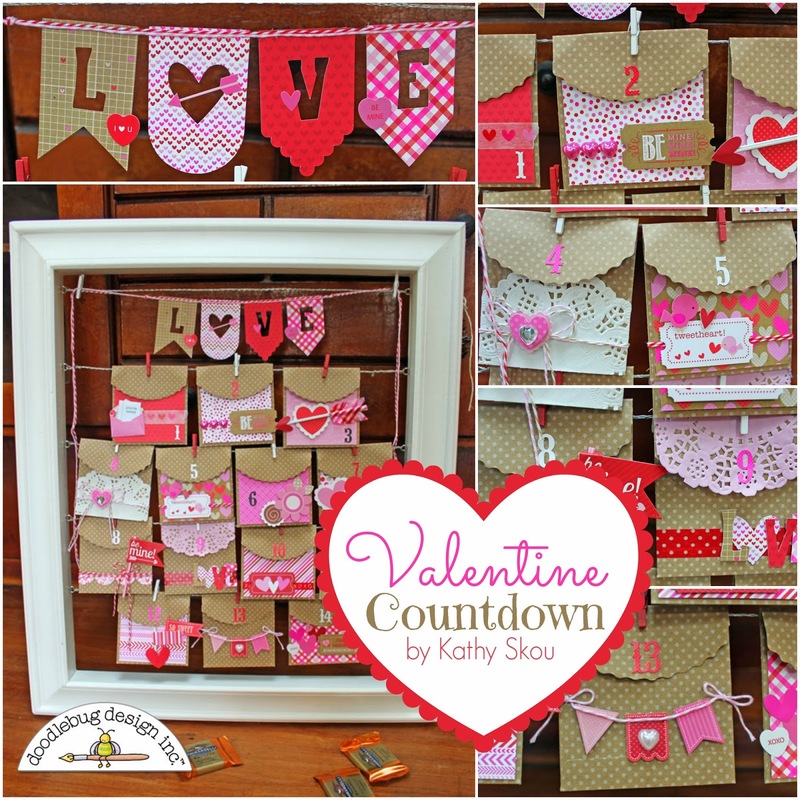 Hi Everyone, Kathy here today to show you a fun project I created to countdown to Valentine's Day! I got this adorable wired frame to create and Advent Calendar. Unfortunately I didn't have the time to finish the project before the season. I didn't want such a fun thing to go to waste, so I decided to create a countdown calendar for Valentine's Day using the super-adorable Sweetheart Collection! Since I was only working with 14 days as opposed to 24...I didn't need to use all the space in the frame. I decided to create a little banner "title" using banner shapes I die-cut, some great Sweetheart papers and stickers and some Sweetheart Twine. 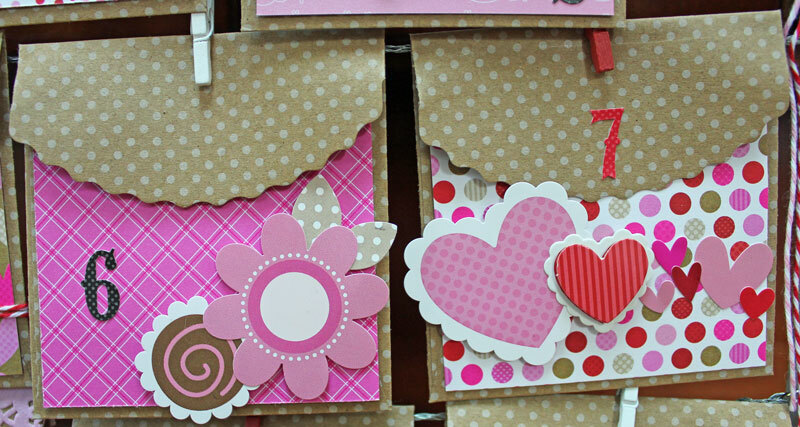 The Treat Bags were the perfect base for my project, and the perfect size for a little treat. 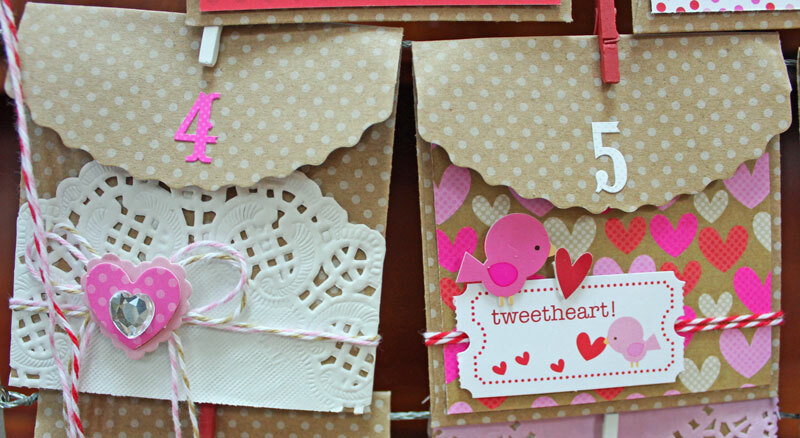 For the rest of the project I just decorated and numbered each bag with lots of little goodies from the Sweetheart Collection! It's all filled and ready to go! 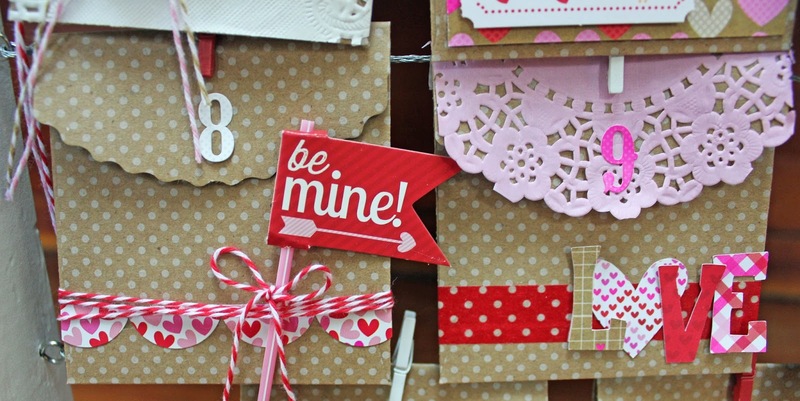 Thanks for stopping by today and keep checking back for more inspiration from the Design Team using the Sweetheart Collection! Love it Kathy too cute! Absolute perfection! I love every bit of this, Kathy!!!!!! Kathy - I am so impressed!! 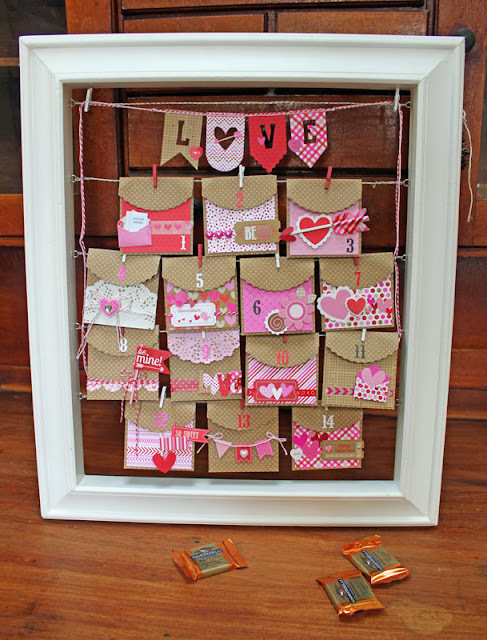 This is so cute and what a clever way to use the Sweethearts collection!!! Awesome! I am glad you are part of the Design Team, I can't wait to see more of what you share!! Have a Great Day!!! This is just sweet perfection! I love it!